Compare the OH bonds in Vitamin C and decide which one is the most acidic.The most acidic proton in ascorbic acid is the one whose conjugate base is most resonance stabilized. Removal of either of these H's at hydroxyl group A or B does not give a resonance stabilized anion. 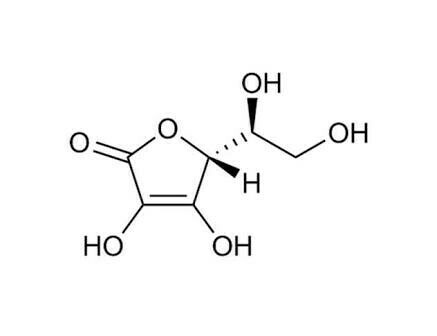 2.The proton at D is less acidic , since its conjugate base is less resonance stabilized with two resonance structures. 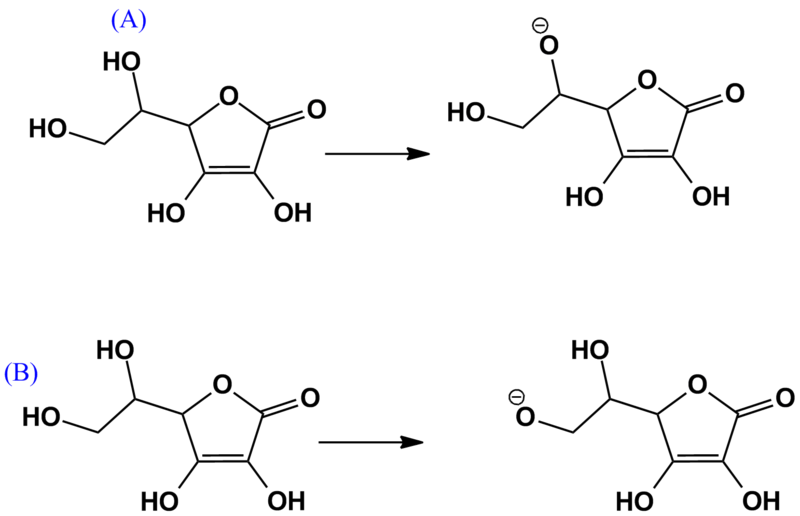 3.The proton at C is the most acidic proton in ascorbic acid since the conjugate base is most resonance stabilized. The correct anion is stabilized by the mighty resonance. Hydrogen bonding is irrelevant, since it affects both variants the same way. 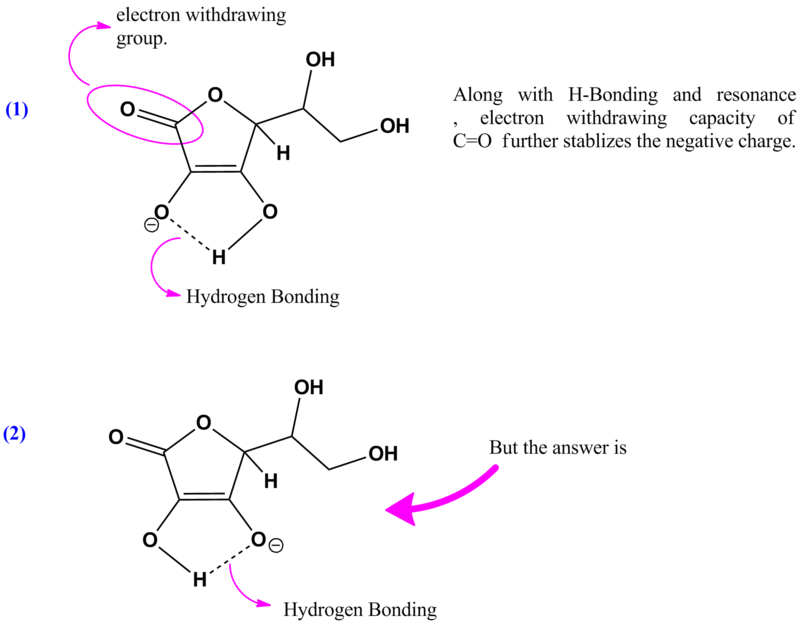 As shown, if the hydrogen on the bottom-right position is removed, the -ve charge is stabilized by more number of resonance structure (more conjugation) as compared to when the hydrogen on the bottom-left position is removed. So the hydrogen on the bottom-right position is more acidic. Which compound reacts faster in the Cannizzaro Reaction? Which hydrogen of 3-methylcyclohex-2-en-1-one is the least acidic?